Do you feel as if you are working hard, but still not quite where you want to be in your dog's training? Have you read some of Brenda Aloff's books on dog training, but wish you could ask her some specific questions about the training exercises? Are you having trouble finding a teacher that shares your philosophy for dog training? Have you been to one of her dog training clinics and want to learn more? Is your dog inattentive - right at that moment you really need her to be paying close attention to you? Do you want to understood your dog better and use that knowledge to better train your dog? I am so excited about the Virtual Academy! It is your chance to learn from me, regardless of your location. A weekend clinic with me costs you the clinic fees, lodging, travel and meals - it is easy to spend $500-600 for a 2-day clinic. Here, you can learn from any location, over a six month period, for less than $500. Each of the modules has a video and audio files, a Study Guide and detailed worksheets. Our coaching calls give you the time to ask me questions and discuss various topics about the classroom, training techniques ... you name it! Continue your communication with fellow classmates at our private Facebook page. Many of my regular students opt to take this course, too! If you can view the video at left with no problems, then you know that your internet connection will allow you to enjoy the Virtual Academy! An Invitation to "The Engaged Dog"
I invite you to hone your dog training skills and learn about my training protocols. This course covers the protocols that I have developed and use successfully with dogs of every breed and every temperament. These are the same protocols that I introduce at a clinic, but at the clinic we just don't have the time to explore beyond the first couple of approximations. In this course, we do have the luxury of time! Over a six-month period, you will be able to move through the lessons at your own pace - AND with my help. You will have access during live-via-web Coaching Calls with me, Brenda Aloff, throughout the entire six months. You will have access to all our previous calls, too (they are recorded!) so if you miss a call, no worries ... you won't lose out on the knowledge. If you desire extra help, I offer a reduced-fee on phone and video consults to all my Virtual Dog Training Academy students. Study and learn with written, audio and - best of all - video content. There are worksheets, too, to help you stay on course and organized. There is a private Facebook Group, open only to The Virtual Dog Training Academy students, for students to interact and continue to learn. Coaching Calls allow you to see and communicate directly with Brenda via GoToMeeing. Scheduled monthly, we cover an amazing range of questions: About the exercises in the classroom, behaviour modification ... you name it! Listen to some excerpts from past Coaching Calls ... you'll see we cover a wide variety of topics and it is a lively discussion! Now, imagine yourself joining in with your own questions! You also have the option to download all previous Coaching Call mp3 files, to listen to anytime you prefer! "The Engaged Dog" Training Skills are for Every Dog and Every Trainer! Difficulties in advanced behaviours are often caused because of holes in the foundation skills. For instance, it is difficult to teach an inattentive dog anything! Yet, a dog that has good concentration and attention learns quickly and efficiently and is super easy to teach - regardless of the lesson. It is perfectly natural for dogs to be distracted by the environment and their own instincts. But a dog with excellent Impulse Control does what I call a "logic override," overcoming instinctive behaviour when it interferes with learning. A joy to take anywhere and succeeds at everything you do together. I know you love your dog, or you wouldn't be here. But we all know that it is difficult to carry on a joyful and beautiful relationship if you are constantly irritated by disobediences that your dog seems determined to carry out. Better training makes for a better relationship. Better training involves knowledge of training, good mechanical skills and protocols that work. This course gives you the skills you need to build that super relationship with your dog. After all, it is the promise of a connected relationship that prompts us to get a dog in the first place! In order to make it happen, you have to first define "it". You create a map for yourself, figuring out where you are starting from and identifying your strengths and verbalizing your goals. This is transforming in and of itself. Very few of us get this structured when left to our own devices and a good map is always a good start! Here is where we all get on the same page. We discuss the Art and Science of Learning Theory, stress in training and its role, cue systems, the 4 Quadrants and when & how to apply them, and the art of successive approximations. We talk about my Hind Brain/Front Brain paradigm and how to apply it to your training. This is where we learn when to use the different Training Zones and the value of body handling and how it increases trust between the two of you. Included are introductions of many of my Foundation Protocol exercises. You learn about Emotional Anchors - the philosophy and how to use this so that your dog wants to include you in his decision making process. This is the lesson in which we delve into serious Impulse Control and Delegating Responsibility tasks. This work is at the heart of good training. Learn about what tempts your dog and how to teach your dog to ignore the environment: What could be more powerful? It is so often the dogs distractibility that sabotages our own training efforts. I want you to understand the philosophy of Impulse Control so it becomes a way of life for your dog and he chooses See, Think , Then Do instead of See, Then Do, which leaves you out of the loop! We discuss more body handling and how to make it humane and keep it fun for the dog. After all, a dog tells you how much he trusts you by how much and in what circumstances he allows you to substitute your agenda for his own. I teach you how to have your dog be calm, cool and collected during Greeting Ceremonies. We cover the Zen Down, Recall work, and Loose Leash Walking. "Don't Keep Your Dog Guessing" - by using Stand By and End Working cue systems, and using distraction & challenges to strengthen behaviour, is another topic we cover in this lesson plan. A really stable Down is one of my go to behaviours for so many situations: Around the house when guests come in or when I am carrying in groceries. In public, the applications are limitless! I'll show you how to use the Down exercise to take your dog out of "drive" and "neutral." Understanding the Shaping Process and how to use targets effectively: Shaping is an extraordinary way to teach people how to read intention behaviour in their dog, how to improve their timing and how to develop approximations on the fly. It increases the confidence of timid or fearful dogs in myriad ways. And, if done properly (although I see that seldom enough), it helps bold, pushy dogs learn restraint and hyper-active dogs learn how to slow down and think. You'll learn how to use targeting to control your dog at the door, so when someone visits it is no longer some sort of bizarre free-for-all competition (your dogs against you) to determine who gets to interact with the person at the door. In each module we cover a Learning Theory topic; in this module we discuss reinforcement schedules and how to engineer and manipulate them. We cover challenges for all the exercises we worked on and how to strengthen behaviours. Wouldn't it be great if, as the environment got more and more chaotic, your dog's attentiveness to you increased? Sound like a dream? It's not. It is a process of using environmental cues working for you instead of against you. Why don't you get what you want? You find out in my discussion of "When It Goes To Hell In A Handbasket - Technical Reasons for Screwups" which gives you tools on how to avoid screwups or USE them to your own advantage. Each module has a welcome video or audio and a Study Guide with detailed worksheets, to guide you through the training process. There are over 40 videos detailing all of the exercises in the Study Guide. These are not 5 minute videos - many of them are 20 to 30 minutes long, showing all different breeds of dogs and levels of handlers working. There are 18 audio files in the modules themselves, plus the audio files of ALL the Coaching Calls. 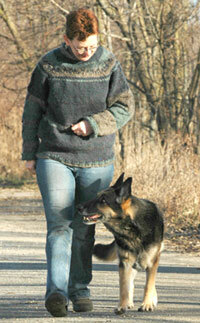 Training is about having a balance between mental, emotional and physical aspects of yourself and your dog. It is about understanding the Science of Training and being able to apply the Art of Training. The key to being the best kind of dog trainer is to know how to apply what, when. When you enroll in The Engaged Dog online course, you are setting yourself and your dog up for success after success. If that means better snuggling on the sofa to you, well, you can have that. If it means a faster, more accurate agility run, you can have that. If it means more focused, attentive and intense Obedience work - this course helps you develop that. If it means such a well-behaved companion that everyone admires your relationship - well, this course can give you the tools to create this. Techniques that work on "easy" dogs are easy to find! It is how well my students can put this to work for themselves that truly matters. I can assure you that the strength of my work is my ability to teach it to others AND that the protocols I have developed are easy to use with a little practice and guidance. The protocols have been honed over the years with the help of my very own "difficult" dogs. You hear many anecdotes about my lovelies in my books. The test of a system is not how it works on the most trainable individuals in a species, but how effective it is on the most difficult individuals. The most difficult dogs are my everyday clients, through Veterinarian and Trainer referrals. Thousands of students and their dogs have found transformations - large and small - with these techniques and my guidance. They just had to add the elbow grease! You already know that Better Training involves behaviour modification on both ends of the leash. If you hit a snag, I am here to help. Clarity in intent and execution makes your training blossom. And every time you have a training breakthrough, your relationship improves, too, because really the bottom line is that good communication and understanding always makes the relationship better. My goal for you, as a result of working through this online course, is that you become an empowered trainer, confident and effective in your decisions, with a growing relationship with your dog. I am there to provide information, guidance and provide you with learning challenges...and of course to celebrate your progress! Am I excited about being able to share my training system with you? You darn bet'cha! See you at Orientation! We make sure create to a joyful and supportive learning experience. The mind-feeding information in this course helps you meet your dog training goals. I know this because I have seen the "Ah HA!" looks on the faces of my students over and over again as they are introduced to these exercises with my protocols. I've made some of the first lessons in The Engaged Dog Course FREE for you to take a look around. 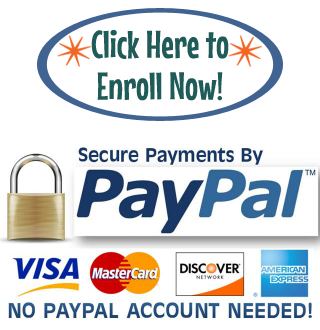 The course fee of $497.00 includes 6 months of course access. This way you are not rushed, and if your work schedule or family interferes with your LIFE you don’t have to panic. You have time to peruse, re-watch videos, and study at your own rate. You are welcome on any of the Coaching Calls! If you are not able to make a Coaching Call, no worries. They are all recorded, so you can listen to them at your leisure. I am super busy, myself. I designed this course to be flexible and convenient for you to take, regardless of your schedule. I cannot put more hours in the day for you (or me), but I can make the course work for you in your own timeframe. You are welcome to download all the handouts - they are yours to keep and I hope you USE them - take notes as you work with your dog. Go back and review them as needed or use them to remind you how you are going to proceed in your training sessions. While you are a student, you get a discounted rate if you book any private lessons or telephone consults with Brenda. Usually lessons are $150 for a first consult and $95 for subsequent consults. 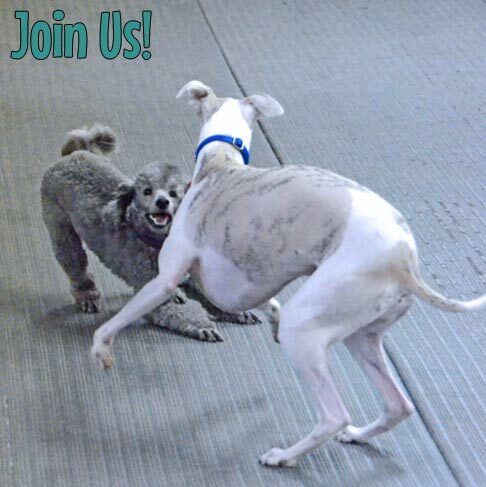 While you are an Engaged Dog student, your private lessons or phone consults are $75. Many of the audio files are available for download, yours to keep and refer to. The Virtual Dog Training Academy is like being in a clinic ... except you are at home! Using a proven system that has helped so many dog/handler teams at all different levels, from around the world, The Engaged Dog: Smart Training, Sophisticated Communication, Unstoppable Teamwork, doesn't just have a long name…it will revolutionize your training. Learn how easy it is to free yourself from the most common and frustrating issues that limit your training. Learn how to diagnose and solve the most common reasons for lack of attention & lack of motivation. Want a partner who enjoys the time spent together as much as you do? You can develop this partnership! And the best part is ... you can learn at home in your pajamas! 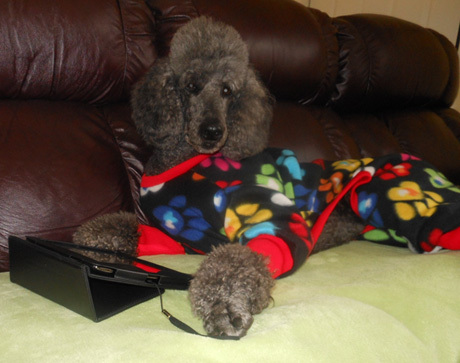 As a student in my Virtual Dog Training Academy, you have live (via the web) meetings with me. This is your chance to get your questions answered directly. It is the place we share in the joy of your successes, trouble-shoot problems you are having and have an all-round-good-time together. I so enjoy the opportunity to connect with students regularly and to be able to get to know you all. You can join the Coaching Calls for the full six months of the course. Even if you finish all the modules early, we still want you to keep in touch with us for all of the calls. A schedule with times and dates will be posted online in the Virtual Academy's "notifications area," so you can arrange your schedule to join us. In the event you cannot join us on the day, recordings of the call will be available so you can listen and catch up. If you have a question, you can send it ahead and I will answer it for you. I feel a huge sense of accomplishment having “completed” your course! I put completed in quotes because I know I still have much to learn and absorb… but I am very happy with the increase in my assessment scores! I fully intend to go back and keep studying everything for the 3 months I still have before my time runs out. I want you to know that my confidence has grown in leaps and bounds as I work with dogs and people since beginning your course. I have SO much more to draw on than the click and treat training I began with. I am incorporating more and more “Brenda stuff” into our classes, and more still into my private training. I hope things are going well for you up north there! Oh, I finally got around to taking the CPDT-KA exam, and passed easily - all of your emphasis on learning theory made that section a snap. Thanks again for everything! Just went to module 1 and started downloading materials, watched the brain paradigm video. SO much wonderful information ... starting to sound familiar at last since this is my third exposure in one form or another ... I just wanted to say that I found the module well labelled, and not too difficult to navigate. Happy to be here. The timing is good, too, since having to cram in new info, esp this past year, has caused me to tend less to my dog training neural pathways. I think the Virtual Academy is absolutely fabulous. Well done and thorough. Thank you so much for deeply investing in all of us, including the kids who need help. ....anyone who wishes for enhanced communication and improved training skills. If your training is hit-and-miss, or without a solid foundation and/or lacks planning, this course will give you a great structure to work with and then grow beyond. You can be training for Obedience, SAR, Agility, the Breed Ring, laying together on the sofa, or even if you don't have any idea of how to describe yourself. This course is all about common sense, friendly concepts that every trainer will find useful. It is this luxury of time and structure that makes me so excited about teaching this course. It gives me a way to provide my students with more of what I wish they had, but prior to finding this solution, was not able to. 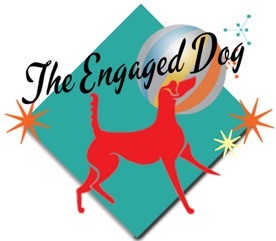 Students of The Engaged Dog course get unlimited access to the Get Connected Virtual Academy closed group on Facebook. This is exclusive for students and is where you will be able to support fellow students and keep us up to date on your training. I just want you to know that I really enjoyed/got a lot out of your coaching call today. Really good stuff. Thank you for teaching me to see the world, and my dogs, in a whole new way. A better way for all of us ... My next dog is going to be SUPER!!!!!! Well organized. I like having three formats to use - watch video, read handouts, listen to MP3s in the car. I was wondering how I was ever going to get the time for this, but being able to listen to the lectures during drive time is really going to help. Thanks for that Brenda Aloff. Yes, I am fired up. What you say is poetry. I can't wait for you to go viral. The thing's delightful. You're good on camera, which I know is very difficult to do. My only complaint - and this is because I've done Toastmasters - is the occasional lip smack. My telling you about it doesn't help because it's involuntary behavior. Everybody at Toastmasters has trouble with it. Otherwise, perfect! So glad you did this. Brenda!!! You did it!!!! Please - no need to reply - just wanted to acknowledge your stupendous accomplishment in creating your The Engaged Dog course. Please, please, please tell all those that helped you that they have contributed to the creation of an outstanding, unique course. It was astonishing that you remained (outwardly) calm while figuring out computer gliches - and with 50 + people hanging on your every word in that first conference call! I know the module content will be equally amazing. I'm determined to "get it" as best I can. Already got my money's worth when you answered the two questions about the down. :) Poor Flag.